Unsanctioned apps have become the norm, even in large enterprises with tight IT oversight. But when it comes to IT communication solutions, which frequently involve sensitive data, you simply cannot compromise. 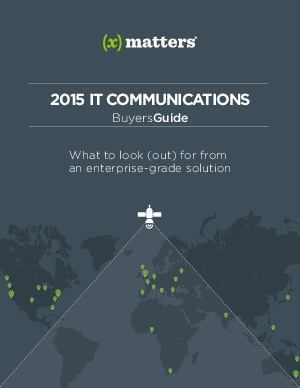 Read The 2015 IT Communications Buyers Guide and learn why you cannot afford to settle for a non-proven IT communications solution. This report details exactly what to look for, and also look out for, in an enterprise-grade vendor.